Yeap. This is it. The post you've all been actually waiting for. I am so smitten by my Kylie Lip Kit, but of course I understand how difficult it is to get them that not everybody has the time and energy to devote to hunting in order to get one! You have seen in my 'how to shop' post as to how hard it is to get hold of one not just in the US itself but more so in the Philippines so this post will be all about locally available products that may pass off as dupes while keeping your budget in check! Aaaand, so here are my suggestions! These are of course here on the list because they're rumored to be the exact same products as Kylie Lip Kits, only cheaper! 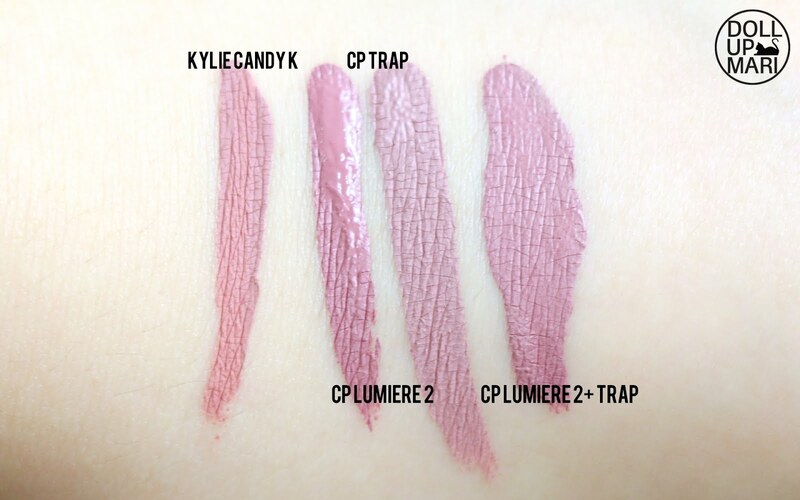 While I have a lengthy discourse as to how I think of the rumors, it's undeniable that these are great sources of dupes because they're affordable, work similarly well (although not as well), and come in so many shades that if you're creative you can dupe virtually any shade in Kylie's collection without much difficulty. This is Lumiere 2 (top) and Trap (bottom). 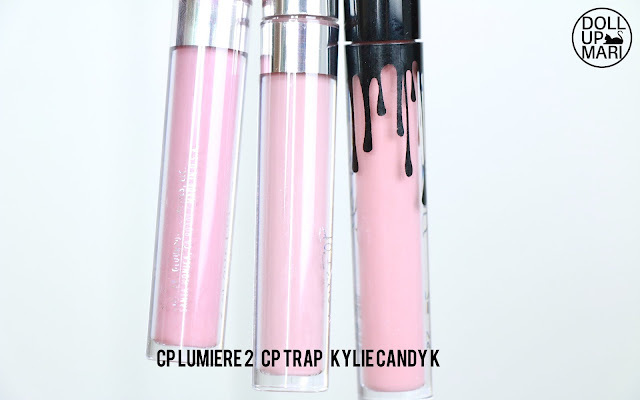 Lumiere 2 is cooler and darker than Candy K while Trap is lighter and grayer than Candy K. Trap was not as close of dupe as I had thought it would be. And I think the wands will show you what I mean. Even the swatches will show the same thing! 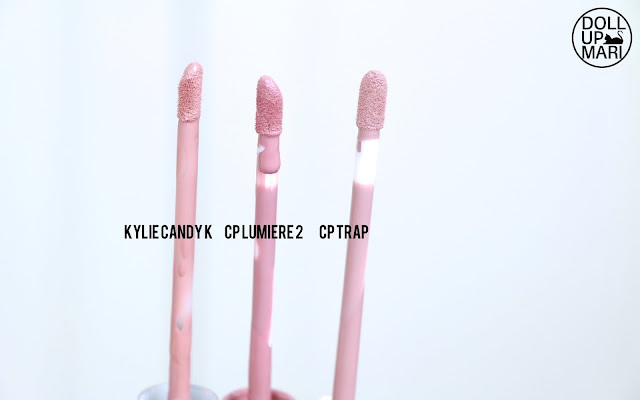 Candy K really is much warmer then Lumiere 2 and more coral and brown than Trap. 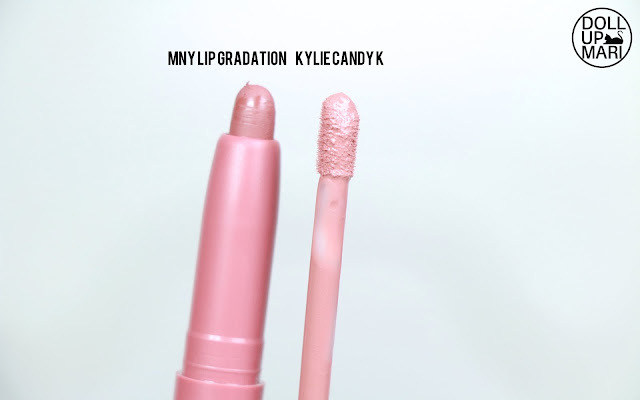 Candy k is also a more earthier shade... I tried mixing Lumiere 2 and Trap but it just gave me a hybrid that's still too cool and too dark to pass off as Candy K. These are good shades if you're looking for stuff in the mauve brown family, though. These are here because they have soooo many reds that can pass off as Mary Jo K. And I am so happy that Mat 6 is the perfect dupe for Kourt K, Kylie's upcoming shade. This is also here because Mat 5 is the perfect match for 22. 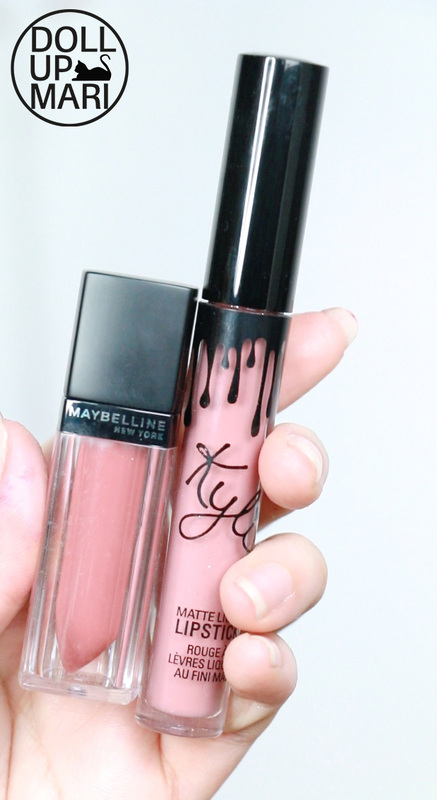 And also because I feel like Maybelline's Mat 12 is soooo clooose to Candy K! If you look at the tube in real life it looks like there's barely any difference! 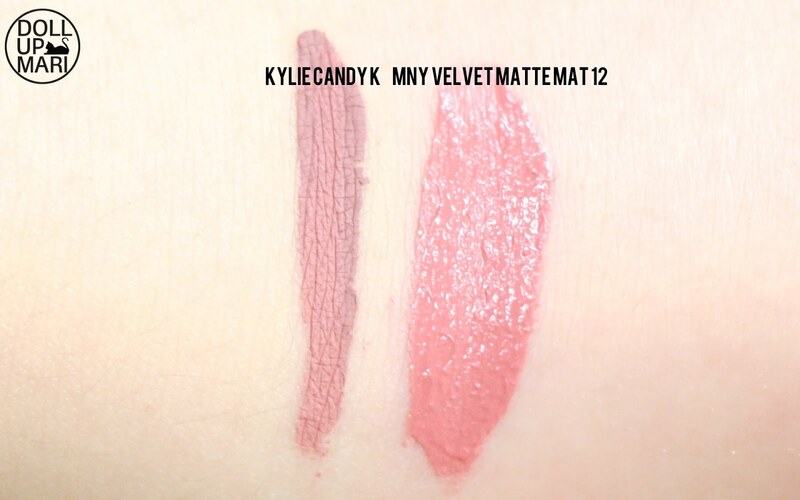 When they're beside each other, Kylie's Candy K is browner, but Mat 12 is already in the same coral pink mauve family, which is why I am so excited about this! These are here because the color payoff is so good and the pigmentation is so intense that this can really pass as the lipstick counterpart for Kylie's Lip Kits! Of course, they're not as matte, but the colors are just so vivid and shocking that they're so pretty to see. I also like that these are buttery and silky and comfortable, and they also leave on a heavy tint so it's a good choice for long days. 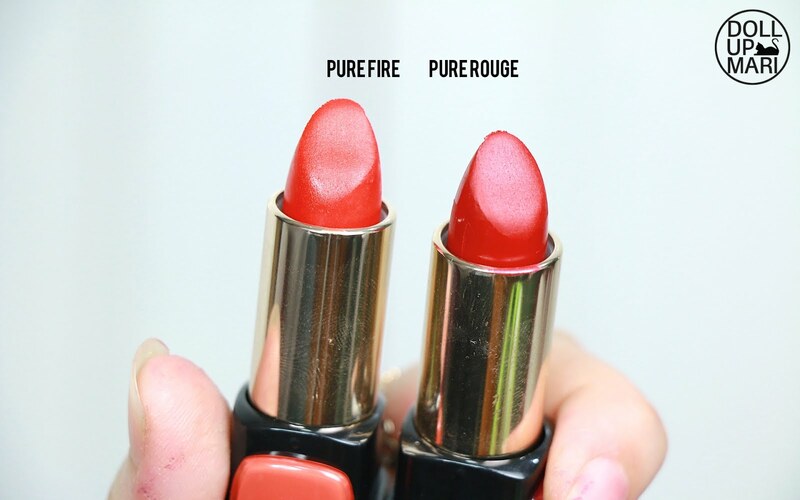 I feel that Pure Rouge can pass of as Mary Jo K any day, and Pure Fire is a good dupe for 22. The lip kit is so expensive that I just didn't erase the swatch in case I needed it hahahaha. But this is Pure Fire and Pure Rouge. 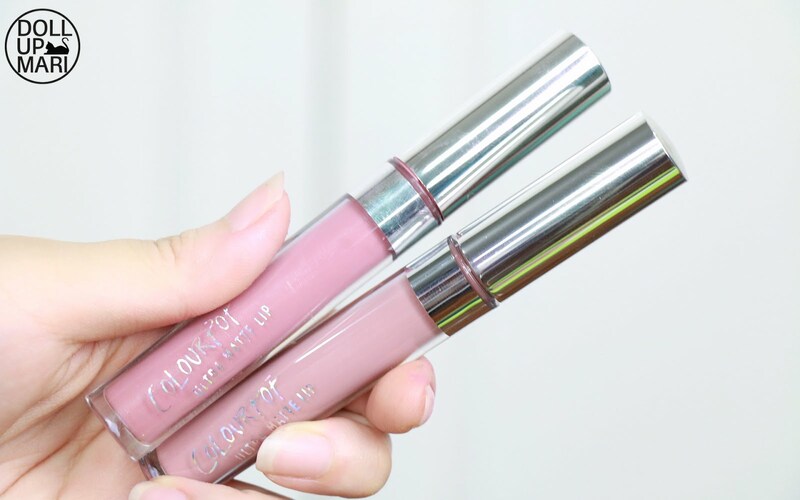 Mauve 1 is probably the slayest dupe in this bunch! 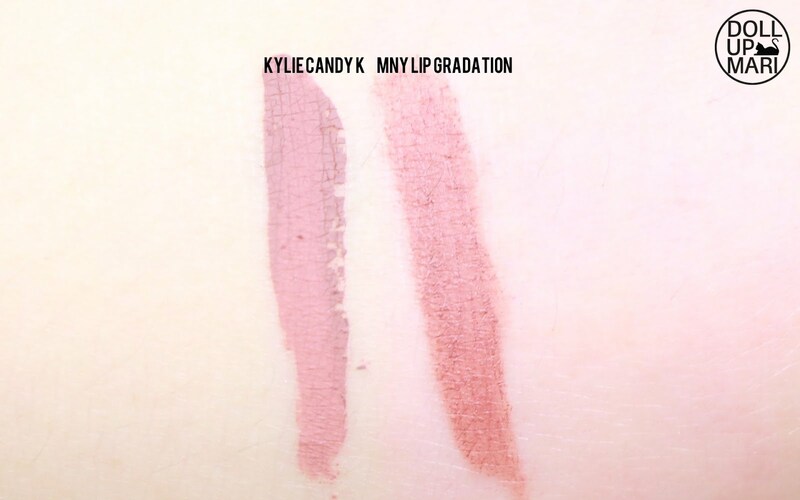 It's suuuuper brown, which actually makes it pass off as a possible dupe for Dolce K and True Brown K. If you can make it a tiny little bit pinker or coral-ier it might pass as Candy K.
I love this so much because the formulation is so versatile that this is a truly affordable dupe pick given how I'm not really sure as to when will the whole brown lips fad last. 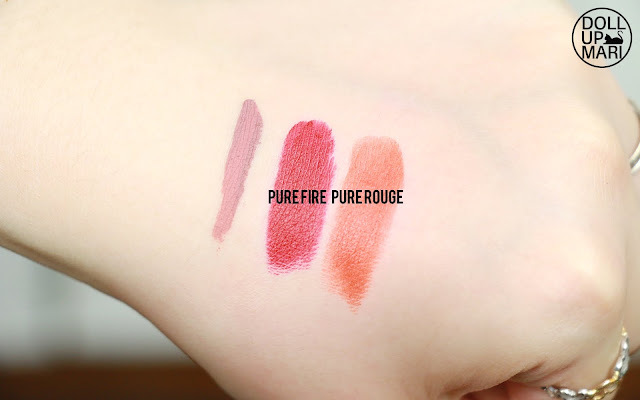 This can be used as blush, lip gradation product, lip tint, lipstick, and the possibilities are honestly endless. Too bad though that there's only one Mauve in the whole collection! I wish that there were other mauve shades because they're so pretty! It really just needs to be a little more pink and it can already pass as Kylie's Candy K! 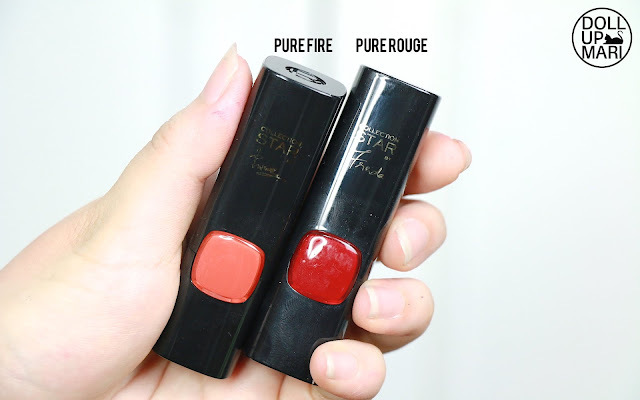 This is of course here because they are among the first few brands to make matte lipsticks before they were even cool! When these were made it's like people were so fixated on gloss. Now, it's like no one is buying lip gloss at all! 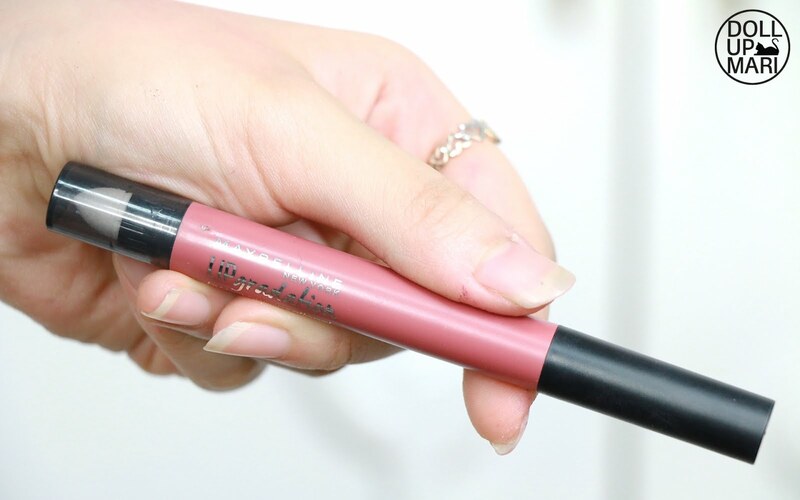 This is here also because it's a super comfortable and relatively long lasting product that can serve as a good investment. 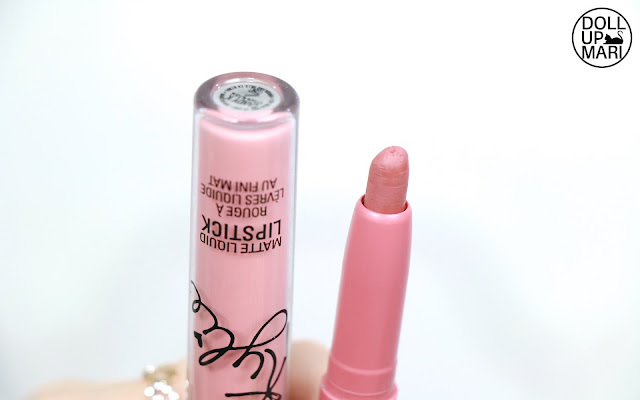 I do need to reapply this when I eat, but it's a generally long lasting product. 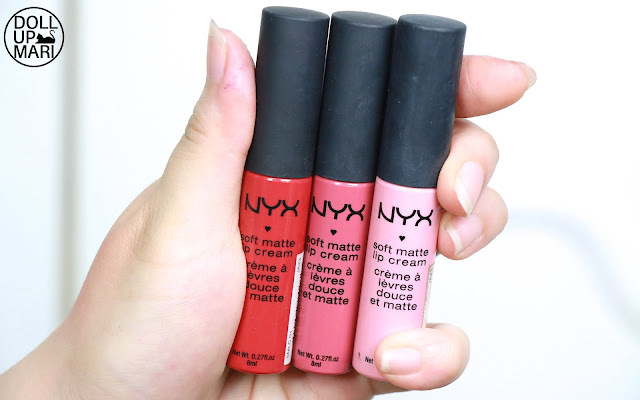 There are also so many shades you can explore that you can definitely go beyond these three I have here! 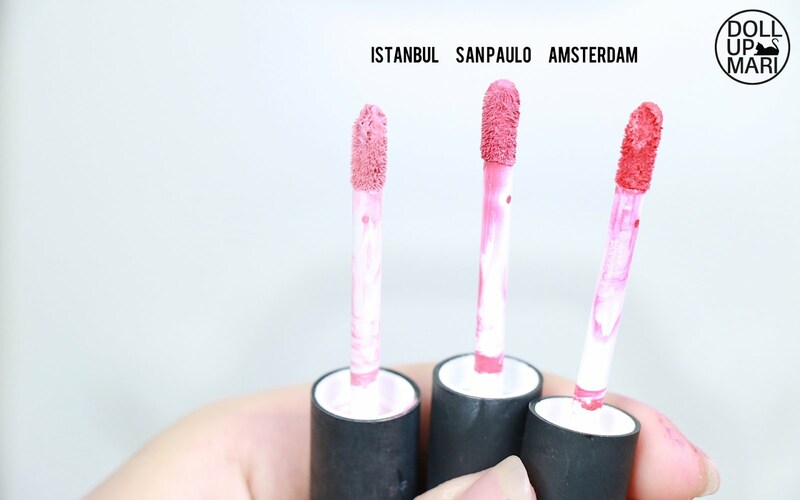 Istanbul can pass as Koko K, San Paulo can pass as Posie K, while Amsterdam I think is the perfect color dupe for Mary Jo K, despite being a tiny less pigmented. I have also heard that there is a shade named London which can pass as a dupe for Dolce K, though I haven't seen both London and Dolce K hahaha. 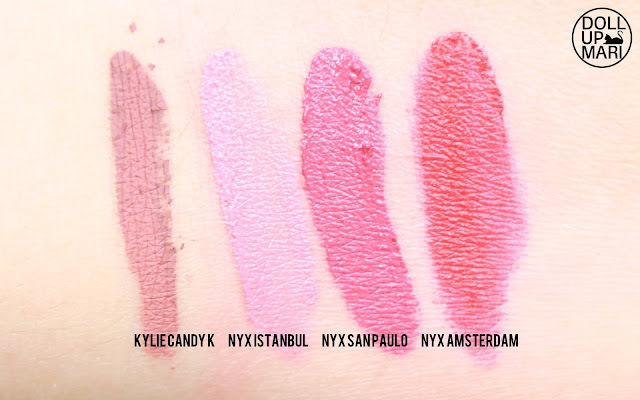 I am guessing that for Candy K, though, it's probably NYX's Lip Lingerie which may have the shades for this kind of color. If you compare Candy K to the others it really is much browner than them. And weee! That's it for now! Please feel free to comment if you see other possible dupes! Di ako makapili. Lahat naman ng mga make up products na yan ay surely high quality.